​the Czech Republic, Poland, Austria, and Hungary. Fri., May 31 - Depart Home for Germany. Sat., Jun 01– Arrive Hamburg: No Howard Tours’ events or services are scheduled. Thu., Jun 06–Hamburg/Berlin: Enroute to Berlin, visit the Prussian jewel of Potsdam with its harmonious landscape of parks and palaces. Our tour will enjoy the highlights of the old city center and the grounds of Sanssouci Palace with its water fountains before we continue on to Berlin. Lunch is included as a tour service. Hotel Abba Berlin accommodations, including daily breakfasts. Fri., Jun 07– Berlin: Morning city sightseeing tour to experience one of Europe’s most exciting cities and learn about its history. Enjoy a of the impressive Brandenburg Gate and a walk along “Unter den Linden” boulevard in the historic center of the city passing the State opera and the Berlin Cathedral. 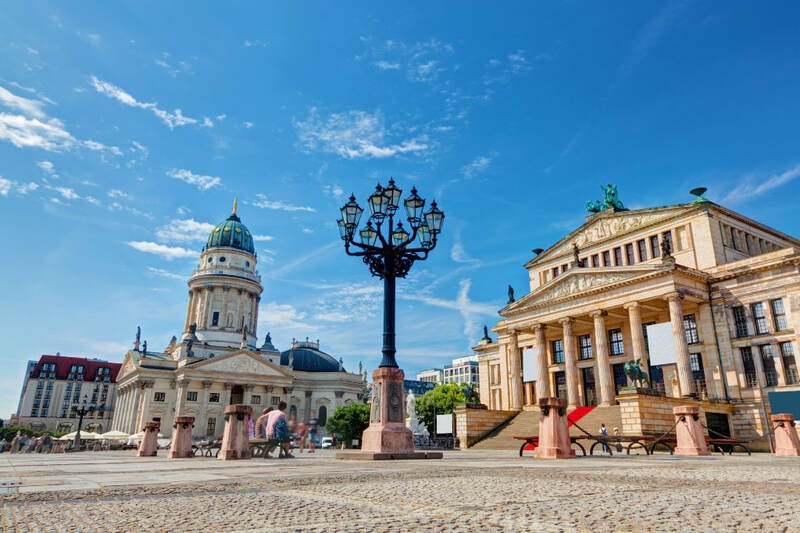 See the Museum Island with the Pergamon Museum and loop back towards Checkpoint Charlie to view the renowned link between East and West during the Cold War. Along the way stop by at the Potsdamer Platz and visit the Reichstag, the meeting place of the Bundestag and lower house of Germany’s national legislature, one of Berlin’s famous landmarks. Balance of today is free for individual pursuits. Sat., Jun 08– Berlin: Morning city sightseeing discover the former “East Side” of the city. You will see such sights as the Berlin Wall, Alexanderplatz, and the headquarters of the secret police. Learn how the German Democratic Republic (GDR) was formed after World War II, and learn what life was like for citizens of the GDR. See the Berlin Wall memorial and get a sense of the security arrangements designed to prevent citizens from reaching West Berlin and the risks that many people took to escape the notorious state security service. Balance of today is free for individual pursuits. Sun., Jun 09 - Berlin/Poznan/Warsaw: Morning departure for a full day trip to Warsaw with stop in Poznan. Enjoy a walking tour to see Old Market Square in Poznan and the clock tower on Town Hall. Admire the facade of Dzialynski Palace and Przemyslaw Castle and stroll down the narrow streets of historical centre to reach the pearl of Polish Broque, the famous Fara Church. Lunch is included as a tour service before we continue on the Warsaw Hotel Radisson Blu Centrum Warsaw accommodations, including daily breakfasts. Tue., Jun 11– Warsaw/Krakow: Travel today to Krakow with a stop enroute at the Czestochowa Jasna Gora Monastery. The Jasna Gora (Bright Mount in Polish) sanctuary attracts several million christian pilgrims every year. Lunch is included as a tour service before we continue on to Krakow. Hotel Holiday Inn Krakow accommodations, including daily breakfasts. Wed., Jun 12– Krakow: Morning tour of Krakow. Undamaged by the Second World War, Krakow has been listed by UNESCO as one of the most significant historic sites in the world. Our travel includes the Wawl Cathedral and Castle, a home and fortress of Polish kings while Krakow was the capital of the country. Balance of your day is free. Fri., Jun 14– Zakopane/Budapest: Travel to Budapest, Hungary via the scenic Danube Bend. Enroute stop in the town of Visegrad, known best for its medieval citadel. Lunch is included as a tour service before a walking tour of Szentendre featuring charming squares, cobblestone streets, Serb temples and Baroque architecture. Arrive into Budapest this afternoon. Hotel Novotel City accommodations, including daily breakfasts. Sat., Jun 15 – Budapest: Morning sightseeing tour of Budapest including including the main and most beautiful sights in the city. You will visit both banks of the River Danube, the hilly side of Buda on the western bank and the flat plain of Pest on the eastern bank of the river. Visit Heroes' Square built in 1896 to celebrate the millennium of the Hungarian conquest of the Carpathian Basin. See St. Stephen Basilica, and continue to the Castle district where you will walk through some of Budapest's most enchanting scenery and history. Visit Matthias Church, which is one of the oldest and finest monuments of the capital. Walk along Fishermen's Bastion offering a magnificent view over Pest and the Danube bridges. Finish your tour with the ultimate panorama of the Majestic River and twin cities underneath. Afternoon free. 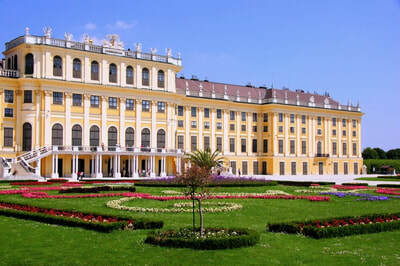 Sun., Jun 16 – Budapest/Bratislava/Vienna: Travel to Vienna with sightseeing enroute in Bratislava. Bratislava, the bustling and dynamic capital of Slovakia is a meeting point of three different countries and their languages, traditions and cultures. The historic town is full of traditions, nostalgia, music and a rich cultural heritage. After lunch, included as a tour service, continue on to Vienna. Hotel AT Savoyen accommodations, including daily breakfasts. Mon., Jun 17 – Vienna: Morning half day sightseeing tour discovering downtown Vienna including the Ringstrasse, St. Stephen’s Cathedral and the Opera House. Enjoy a walk around the Hofburg Palace, the former winter residence of the Imperial Family. See the neoclassical Parliament, the acclaimed Burgtheater and the striking City hall and stop at one of the traditional Viennese Cafes to experience a Viennese coffee brewed at its finest with a delicious cake. Balance of your day is free to explore this beautiful city. 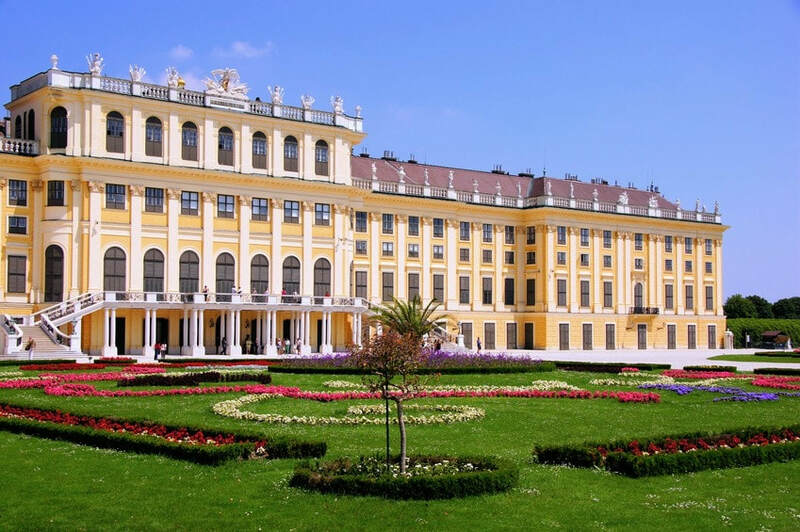 Tue., Jun 18 – Vienna: This morning continue our tour of Vienna with a visit to the historic state-rooms of the Schonbrunn Palace, the former imperial summer residence. Take a stroll through the palace gardens before we continue on to the Belvedere Palace, home to Prince Eugene of Savoy and stroll around the beautifully landscaped garden. Afternoon free for personal enjoyment. Typical Heuriger dinner in the Grinzing wine growing region of Vienna is included as a tour service. Wed., Jun 19 – Vienna/Prague: Travel to Prague via Cesky Krumlov, a wonderfully preserved medieval town and castle. Visit Renaissance Chateau. Lunch is included as a tour service in the Old Town before you continue onto Prague. Hotel Clarion Congress accommodations, including daily breakfasts. Thu., Jun 20 – Prague: Morning walking tour including the Old Town Square, the Jewish Quarter and the old-new Synagogue. Afternoon free for your own pursuits. 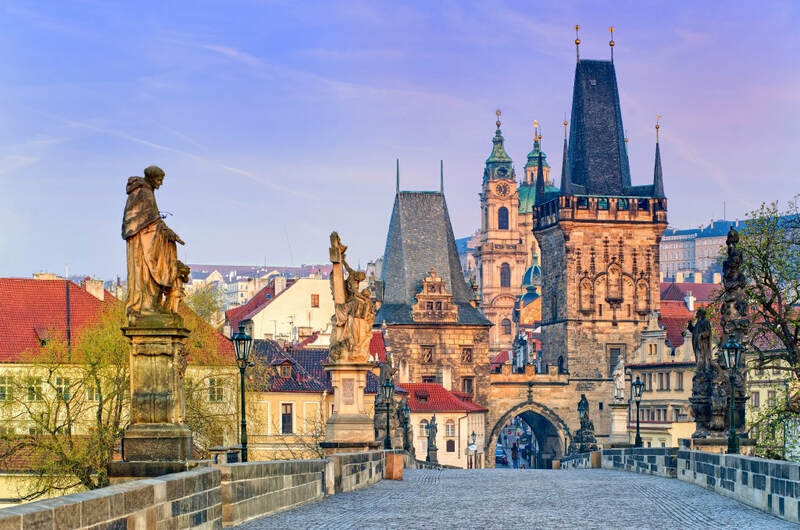 Fri., Jun 21 – Prague: Morning sightseeing including a walk in the the Prague Castle complex, St. Vitus and the Golden Lane. From Prague Castle, we drive to the picturesque Vltava River, and cross over into the Old Town to discover the origins of one of the best preserved medieval cities. Afternoon Free. A traditional Czech dinner is included as a tour service. Sat., Jun 22 - Prague/Depart for Home.